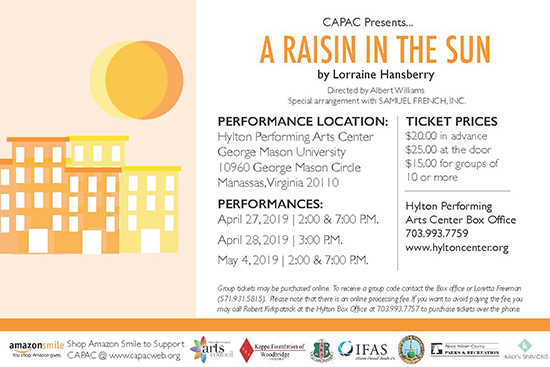 Events :: Creative and Performing Arts Center Inc.
EVENTS of Creative and Performing Arts Center Inc.
"A Raisin in the Sun," a lauded drama written by esteemed playwright, Lorraine Hansberry, is set in the aftermath of World War II. It follows the Youngers, an African-American family living together in an apartment in Chicago. Following the death of their patriarch, the family tries to determine what to do with the substantial insurance payment they'll soon receive. Opinions differ on what to do with the money. The son, Walter Lee, wants to make a business investment, while his mother, Lena, is intent on buying a home for them all to live in-two differing views of the American dream. With "A Raisin in the Sun," playwright Lorraine Hansberry was the first African-American female to have a play performed on Broadway. Because of its success, she was the first African-American playwright and the youngest American to win a New York Critics' Circle award. 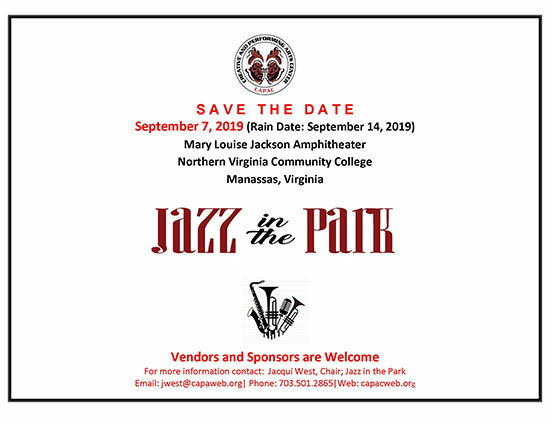 Online submission for Sponsorships and Vendor Tables are forthcoming. Please click on the articles below to see how CAPAC is making a difference in our community. Seven (7) "Sold-Out" performances of The Wiz coupled with a five (5) star review encourages CAPAC to say THANK YOU to everyone who was involved in making our production of The Wiz a huge success. CAPAC gets five star review for the performance of Debbie Allen's “Dancing In The Wings"